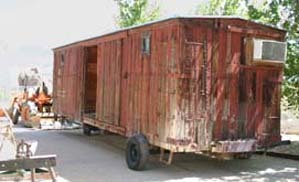 This old boxcar has a long and interesting history. 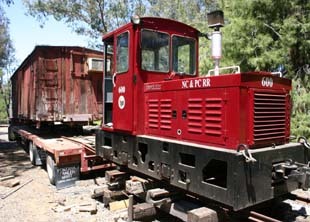 It was originally the Lake Tahoe Railway & Transportation Company Boxcar No. 1 and was built in 1903 by the J. Hammond car company. When the LTR&TCo. was standard gauged in 1927 by the Southern Pacific, #1 and its sister cars were brought to the Owens Valley route. Car #1 was renumbered #332, and later #21. #21 Survived in service until the last day the railroad operated, April 30, 1960, shortly thereafter it was de-trucked and the body sold for use as a shed. 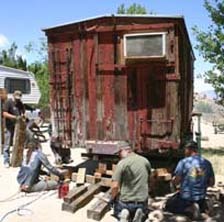 Eventually Bill Dell bought the property the car was on in the Alabama Hills near Lone Pine, Ca., and continued to use it as a storage shed for the next 20 years. 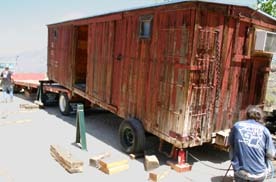 By 2006, Bill wanted the old boxcar “to be in better hands” and offered it to CCRW president Dave Mull. Early on the morning of May 6, 2007, Dave Mull, Rick Cromer, Rick Eckhardt, Chuck Carson, and Betty and Tom Dews all showed up to help professional boxcar mover Bobby Babcock load the boxcar onto a trailer for its trip to Bob’s Fallbrook, Ca. 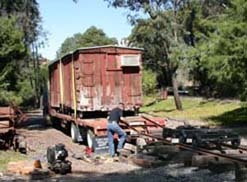 railroad to be restored to original condition. 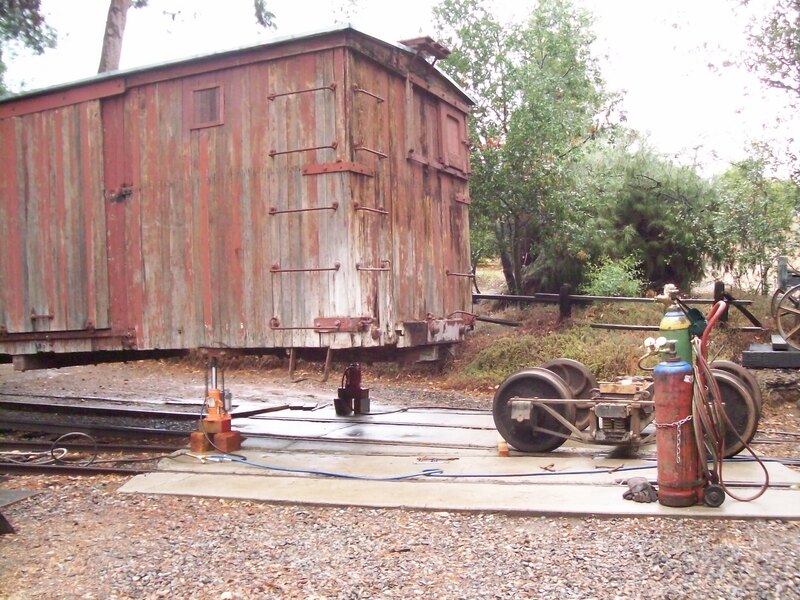 to facilitate the move, a car axle which had been specially welded to fit the boxcar was used as a dolly along with a 1920’s era automobile tow bar. 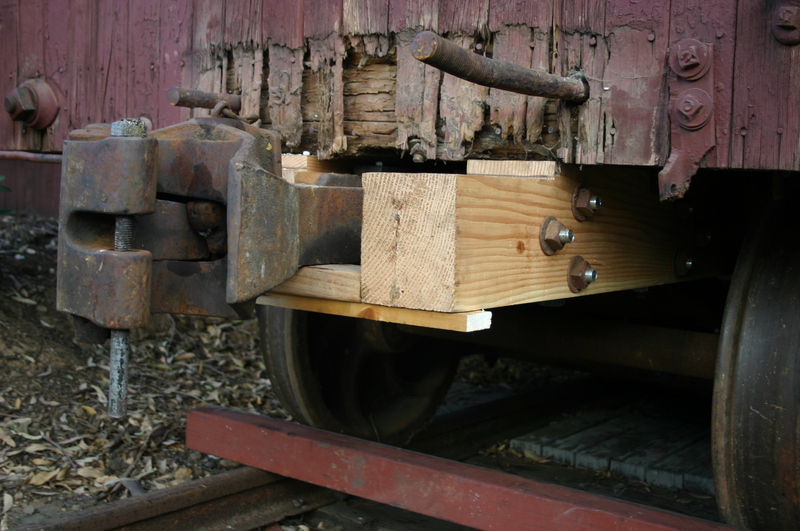 The boxcar was carefully jacked up and put on cribbing. The dolly was put in place and the tow bar hooked on to Chuck Carson’s tractor. The boxcar was rolled into position, loaded onto a lowboy trailer, and secured for the move. Unloading at the Babcock yard reversed the process…but this time equipment specially suited for the work was available. 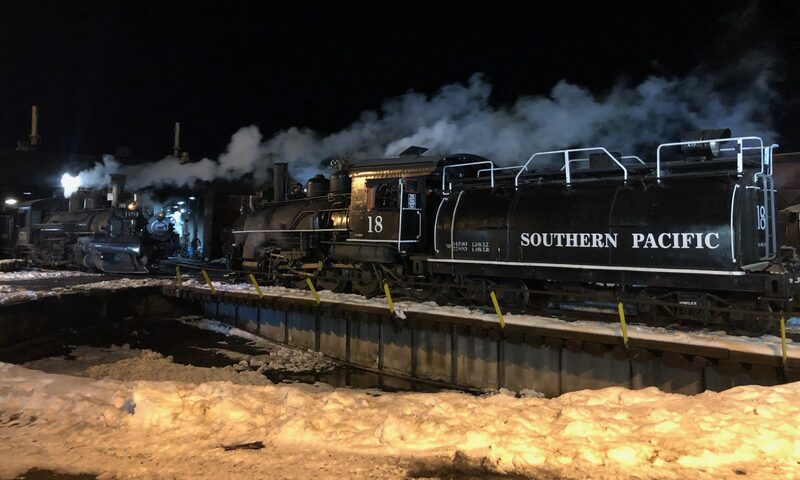 Since the move, the car has been slowly undergoing restoration which has included new end doors, trucks, truss rods, couplers, an air brake cylinder, and the recasting of some of the missing parts from its days as running around Lake Tahoe. Eventually the car will be restored as LTR&TCo. #1. 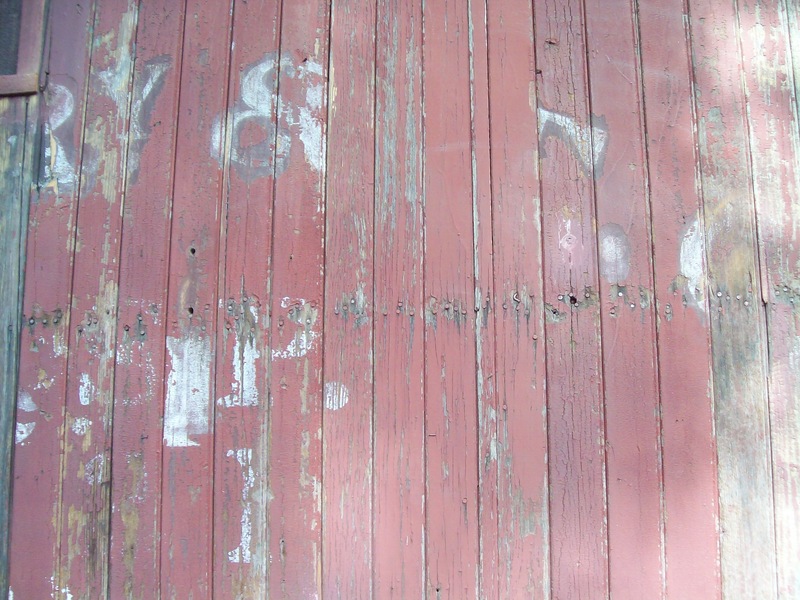 The original lettering showing through.